It is with great pleasure and enthusiasm that we invite you to attend the conference on improving the mathematical abilities of blind students. The conference will be preceded by a dinner on the 15th of April, at INSHEA, a university institute which, among other tasks, trains teachers to teach students with special needs. We look forward to welcoming you at the conference in Suresnes! 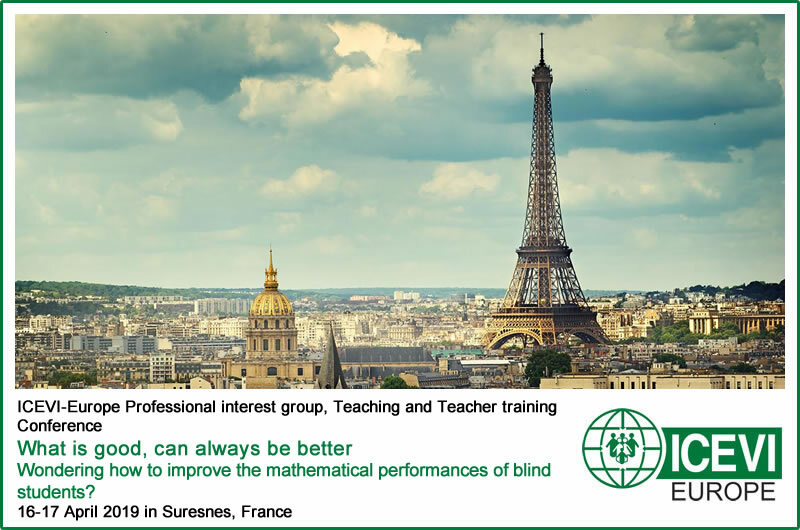 Wondering how to improve the mathematical performances of blind students? Blind students encounter difficulties while doing mathematics. Their teachers need to have knowledge of both mathematics and assistive devices, e.g. braille, Text-to-Speech synthesizer and tactile drawings. For example, the teacher needs to know how to read and comprehend a tactile graph with your finger tips and be able to describe the mathematical basic concepts of the graph. This is just one example. During the conference we want to map which knowledge and skills visiting and mathematics teachers need to support blind students in mathematics. Therefore, we need input from both visiting and mathematics teachers. We will put all this information into a manual that must be “completed” at the end of the conference. We regard this manual as a living document that will be updated at the next conference (ICEVI, Jerusalem 2021). We warmly recommend you to participate in this conference because it is a great opportunity to exchange experiences and knowledge with colleagues. For participants staying at a hotel, breakfast will be available at the hotel. The conference will take place at INSHEA in Suresnes, near Paris. The address is 58 Avenue des Landes, 92150 Suresnes-France. For accommodation, there are 40 bedrooms available in the institute, INSHEA, and several hotel facilities are available in the neighborhood. Please be informed that toilets are available outside of the bedrooms in INSHEA. Participants are responsible for booking a desired accommodation by themselves. 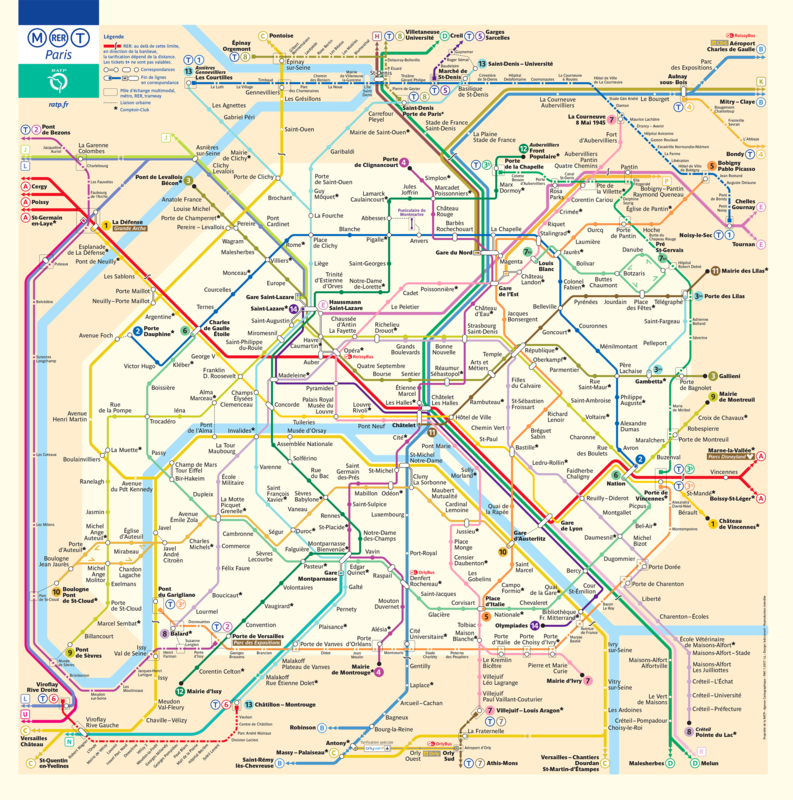 In the event you wish to book a hotel for your accommodation, several hotel accommodation options are available in the town of Suresnes. Visiting and mathematics teachers of blind students in secondary and special secondary education. Exhibition of assistive devices and posters from participants. When you want to give a presentation, you have to submit an abstract. The required word limit for the abstract is 250 words, written in the English language. You can download and complete your Official Abstract Form, DOCX, 62kB. Please submit your completed Official Abstract Form before 1 March 2019 to . You will be informed about the review results and revision requested by 1 March 2019. Your accepted paper will be presented and discussed in time slots of 30 minutes. To register as a conference participant, you have to submit a completed registration form and transfer the payment for your conference registration fee. You can download and complete your Participant’s Registration Form, DOCX, 65kB. Please submit your completed Participant’s Registration Form before March 1, 2019 via email to . Please be informed that in order for you to be considered a registered conference participant, as well as, for us to reserve a bedroom for you in the institute, INSHEA, in the case that you want to stay here, we need to have received your completed Participant's Registration Form and Conference Registration Fee Payment before March 1, 2019. Please be advised that for accommodation at the institute, INSHEA, there are only 40 bedrooms available and we will reserve these bedrooms for the first 40 conference participants who are considered registered, meaning those who have sent their completed registration form and for whom we have received their conference registration fee payment before March 1, 2019. Our advice is to bring your laptop with you to the conference venue. In addition to the papers presented, the proceedings may include the manual, recommendations and resolutions. 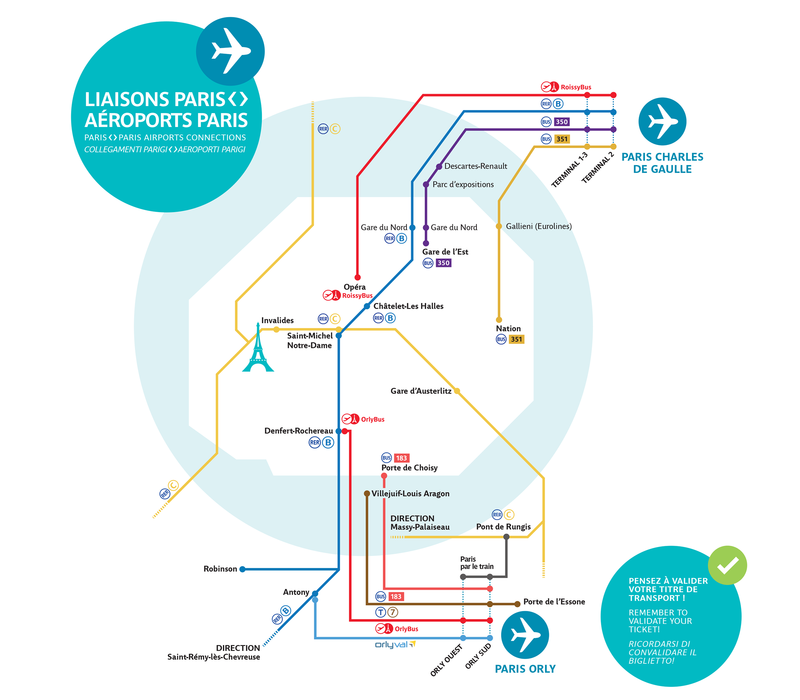 If you want to see how to reach INSHEA and hotels from the airports of Paris, Charles de Gaulle and Paris Orly, PNG, 570kB. For transportation information to INSHEA and hotels by metro and tram, see the following map, PNG, 832kB. 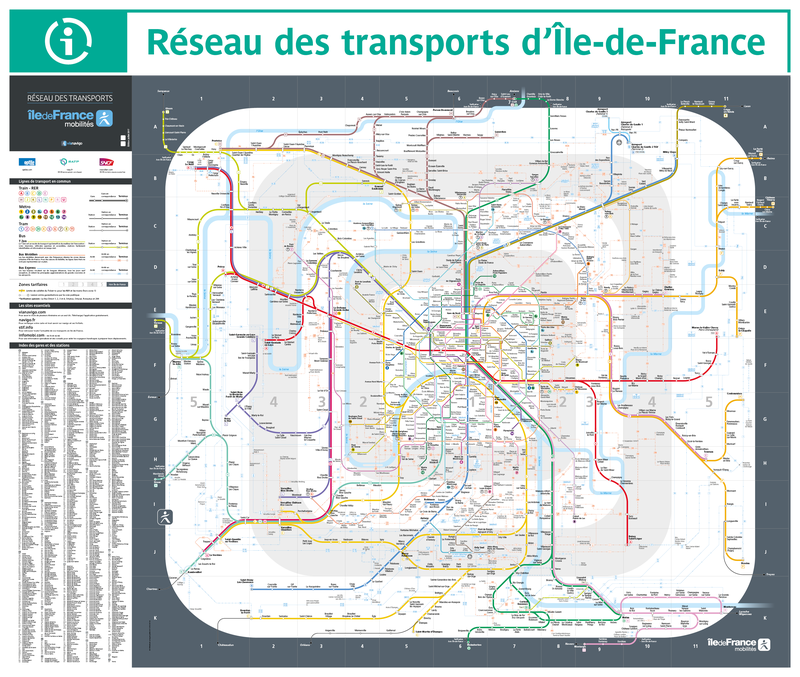 For transportation information to INSHEA and hotels, via all trains, metro and trams, view the following map., PNG, 1,8MB. For further information and registration, see the website of ICEVI-Europe.